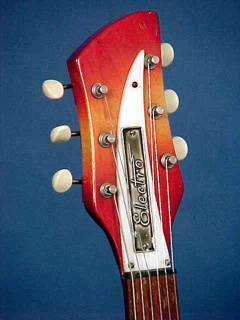 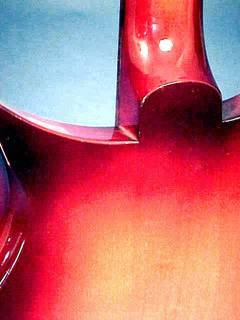 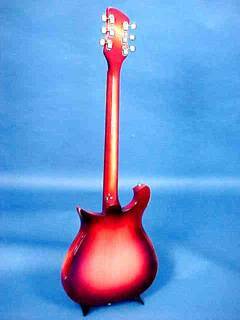 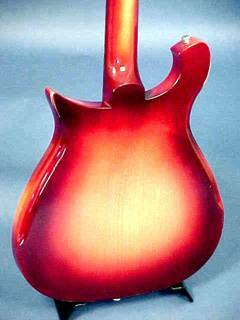 The Electro line was a separate line of guitars produced by the Electro String Instrument Corporation and sold by Radio-Tel. 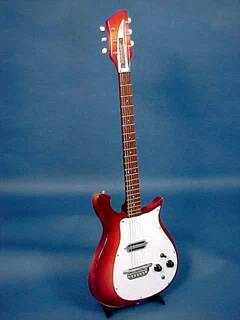 They were not Rickenbacker guitars; they were separate items sold to studios and dealers not carrying the full line of Rickenbacker guitars. 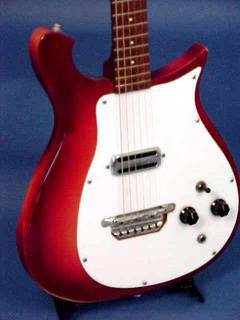 Radio and Television also sold some model 425 guitars with the Ryder label and the Contello label. 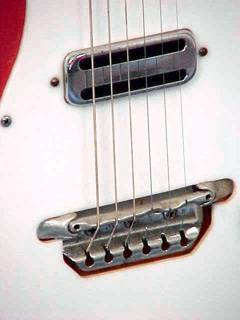 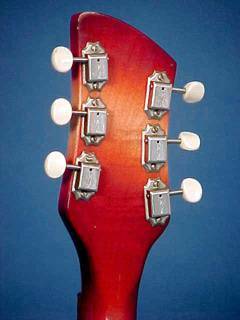 This early example (1964) is neck thru (like a 425) rather than the set neck construction of later models, full scale, cresting wave cutaway shape, 1 toaster style pickup in middle position, metal badge on headstock over normal Rick truss rod cover.